Others … well, just plain dumb, it was a nice attempt but the results were people complaining that they came to the meeting to develop a product not to play with bricks. I thought I knew what the deal was about with Lego and facilitation. 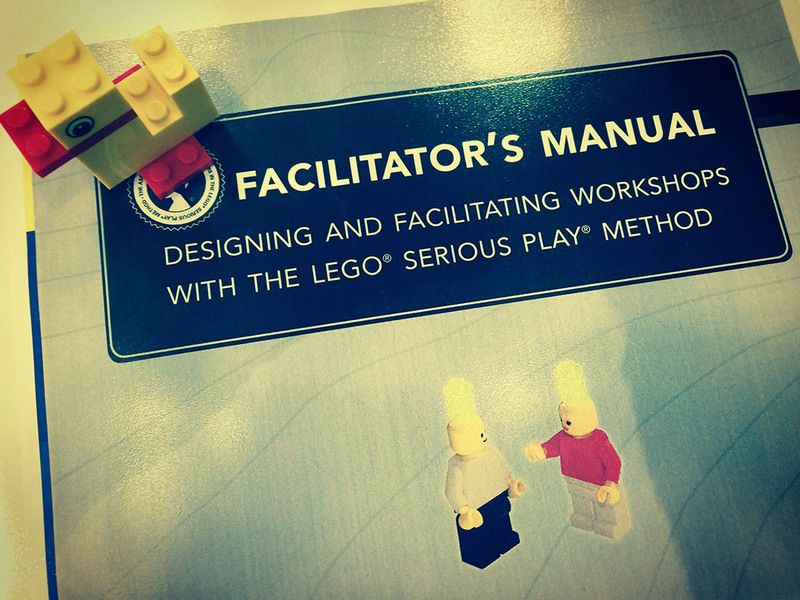 Until the day I entered in the room, in my first day of the Lego Serious Play Facilitator’s training. Then, you go there. The "AHA" moment. A few weeks ago I had the pleasure to participate in the training, led by one of its founders, Robert Rasmussen. Robert is a really experienced facilitator, with ALL the knowledge about these techniques and, most importantly, the scientific explanations about why Lego Serious Play (LSP from now on) works, how it was built throughout the years and why it is like it is now. That was my first “aha” moment during those 4 days and, believe me, the whole training was full of that kind of feeling. LSP is not built around the bricks. Bricks just happened to be there because they fit the purpose. The main thing to understand about LSP is that everything is built in a way that the participation of everyone in the meeting is the key. In our daily activities, we all have meetings. Think about it, what’s the percentage of people talking in your meetings? Is not right that 20% of the people in those meetings are carrying the 80% of the conversations and the decision making? What about all the others looking at their mobiles or computers, staring at the person talking without interrupting? Do you think they don’t care? It might be. Although I don’t think that’s the reason. We all know the dynamics of our companies, who is the one doing the talking, who is the one complaining after the meeting, who is the one who doesn’t care because she knows the decision is already planned. Everybody have to answer that question building a model that represents your answer. Everybody explains her model, pointing at it, looking at it, talking about it. In the simplest exercise, looking more or less like the one I just described, you have a 100% involvement of everybody in that meeting. You’ve got all the inputs in the table, people were not influenced by other’s opinions as they already built their models, etc. Just like that. Good beginning, right? This surprising sentence has a deep meaning inside: the question has to be clear, the answer has to be unclear, at least just before you start building your model. If the answer is so obvious that you know exactly what to say, there is no need to invest time building it, you already got it. What you are looking for is to uncover the answers. When something is sufficiently unclear, you start building an “unknown”. Take one plate, put some other brick on top, look at it and then, the magic happens, something hits you and you see the path of what you are trying to build. Instead of building something, you are uncovering something that was already there, through the bricks and connections. That’s how it works in your mind. Could you guess what this means? The LSP techniques could be much more complex than the simple example I was just writing about. After 4 days, I’m a true believer that this method could help many many companies to uncover information and feelings, create alignment in goals and direction, create better and more confident teams where trust is at the top of their values and behaviours. If you know me a bit, you’d know that making me a believer in 4 days is not an easy assignment. I though about writing this post because, before going to the training, I couldn’t find too much information to make my decision about going there or not. It’s not a cheap one so sometimes you need to get some info before committing to it. As I’m all about MVPs and Lean Start-up approaches I need something from you: FEEDBACK. Do you want to know more? Should I write more about this topic and tell you the thousand “aha” moments I’ve had there? Tell me in a comment what are you interested about, drop your questions and I’ll do my best to bring the follow up to you. In the end, who doesn’t like Lego? Nice post - would you be willing to share it with the community of Serious Play Pro? I'd like to get more information too. Did the rest of the course meet your expectations? Any boring parts? 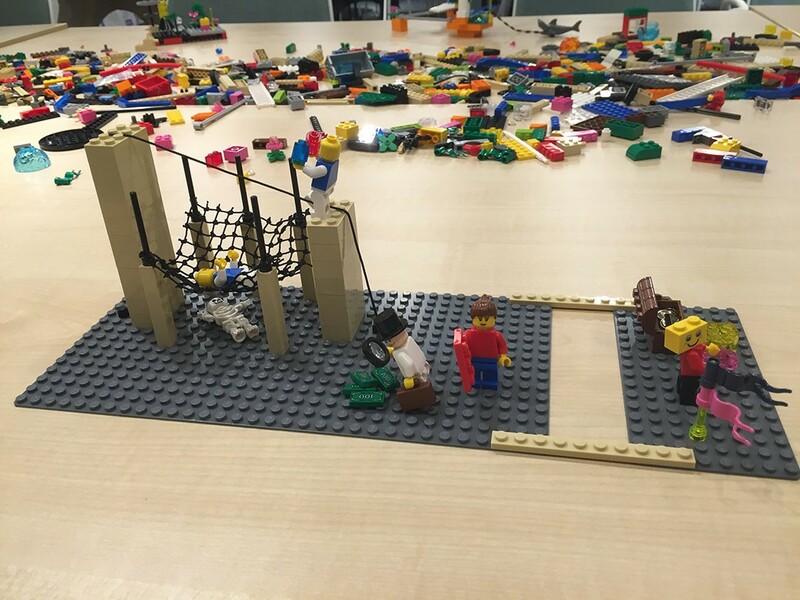 Do you use Lego at work as a tool (not doing training but really using the tool)? If so, for what types of work? I’m writing a blog post that will help hopefully answer your question. I was part of the team in a workshop that Nino facilitated (so yes, he used it as a tool to work with a new team). I’ll add the link here tomorrow or Friday and hopefully that can give you more insights.